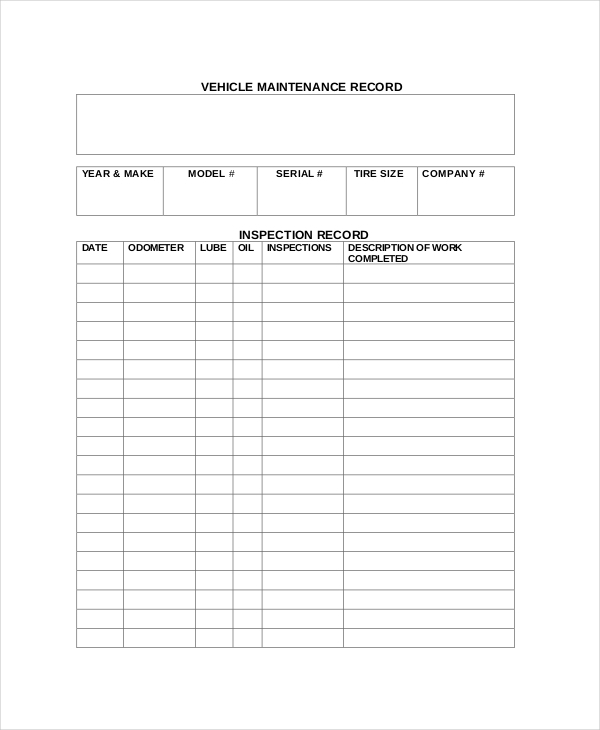 Vehicle Service Form needs to be completed by each driver/owner before they begin their run. They should also know whom to call when there is an issue and way to submit documentation. Vehicle inspection not just makes good sense, they are mandatory. For any loose hoses or belts, every driver must visibly inspect the engine compartment. The Service Form helps protect their equipment, their drivers and their organization’s reputation. The replacement vehicles shall be re-voiced unless another agreement has been made. The user of this form should give one form to each garage, when Nordania has to be invoiced. They should also describe its deficiencies and defects as much precisely as possible. They must also always agree on any extra accessories with their company before they order them. They should also keep their service book updated. 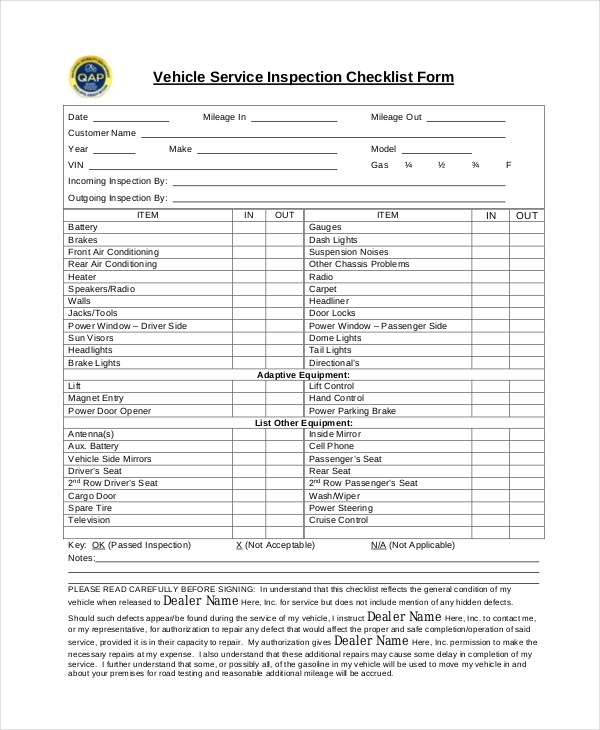 Using this form, the person understands that it reflects general condition of their vehicle when released to dealer for service however, doesn’t mention any hidden defects. They agree they are giving right to dealer to contact them to authorize them to repair for safe operation of service in case any defects appear during vehicle service. 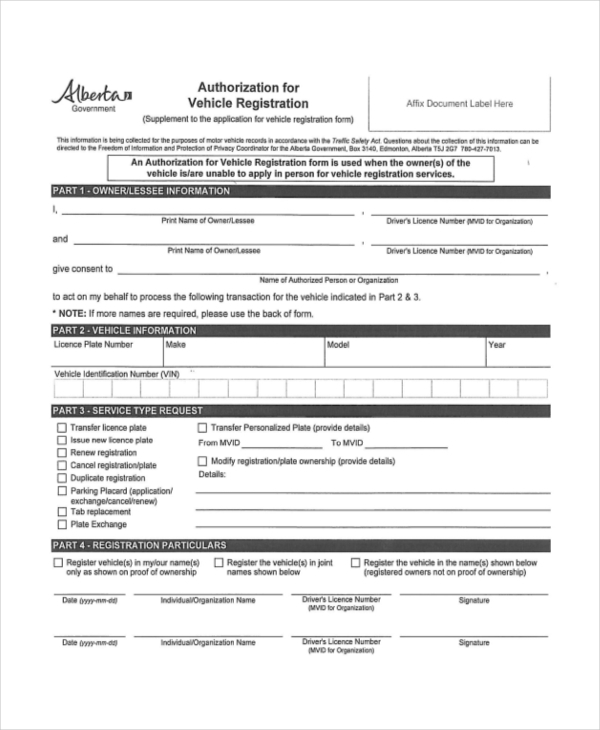 This form is used when vehicle’s owner is unable to directly apply for vehicle registration services. It can’t be used as replacement for proof of ownership. If it is joint ownership, then all joint owners are required to sign it. If new/used vehicle is coming from another country or province further process will be required. 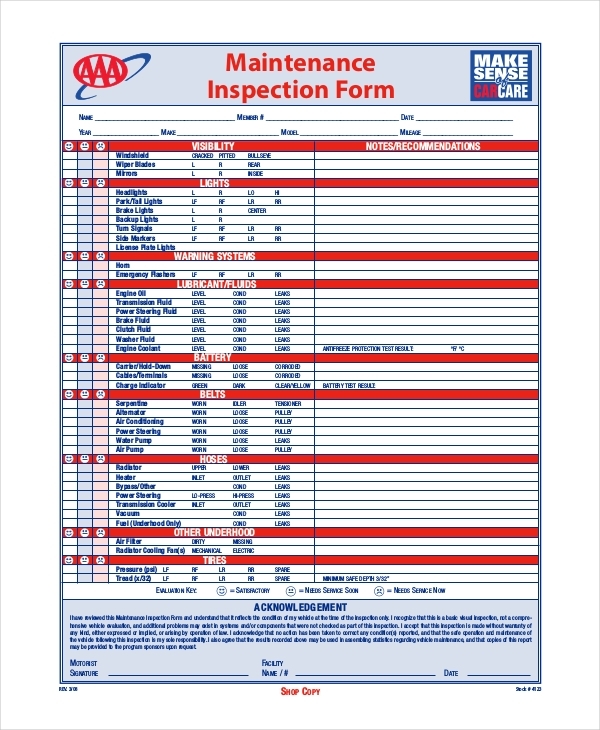 This form is required by the maintenance department to collect the vast information, data, and critical vehicle parts information and its urgency. It also concern information which every record is required to analyze and collect for information. Drivers are also required to know what to check on their vehicle and way to spot the defects. This form should be used by drivers to inspect and indicate any and all vehicle defects that occur while driving. They should explain any defect while recording vehicle information. The mechanic must also record information, if no repairs have been made as issue could not be located. This can be transferred to another technician too. The service mechanics should always complete this for whenever customer visits them for a service check. They should contact the Technical Department in case more service or repairs are significant than indicated in the form. It must be completed in connection with every invoice. Service checks may only be executed at brand dealer’s authorized garages. Using this form, the driver agrees that the information they have provided, including the last date of oil change, is correct. They understand that if the provided information is found incorrect, even the condition of vehicle’s information, then it could result to disciplinary actions and may be even termination of their position for the lifetime. This form should be used when a vehicle equipped with ignition interlock device is certified gets serviced at a service facility or a state-licensed automotive repair. 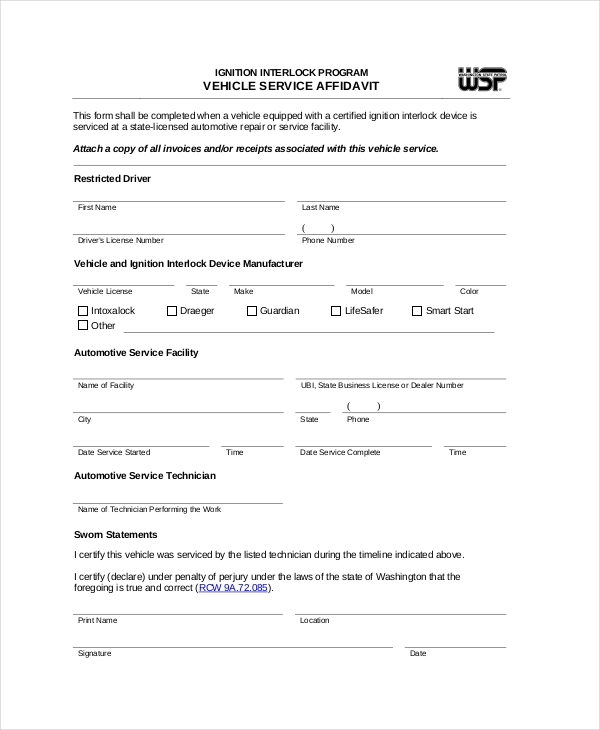 The person using this form should certify that vehicle was serviced by technician listed during certain timeline. They must certify that all information they provided are true and correct. The person should give the form to the service mechanic every time they leave their vehicle for service. The person using this form should check the air filter regularly every month. They should replace it as part of tune-up or when it’s dirty. It is easier to reach under the big metal lid directly. They should weekly check the antifreeze/coolant level. If the repair costs exceeds more than usual cost, they should take permission before making the repair. The person’s authorization provides the dealer the permission to make important repairs at their expense. They also understand that these extra repairs may result in some delay in completion of their service. They must also verify that they are an adult, meaning above the age of 18. Vehicle Service Form in our website has been designed to provide one with a good set of benefit. 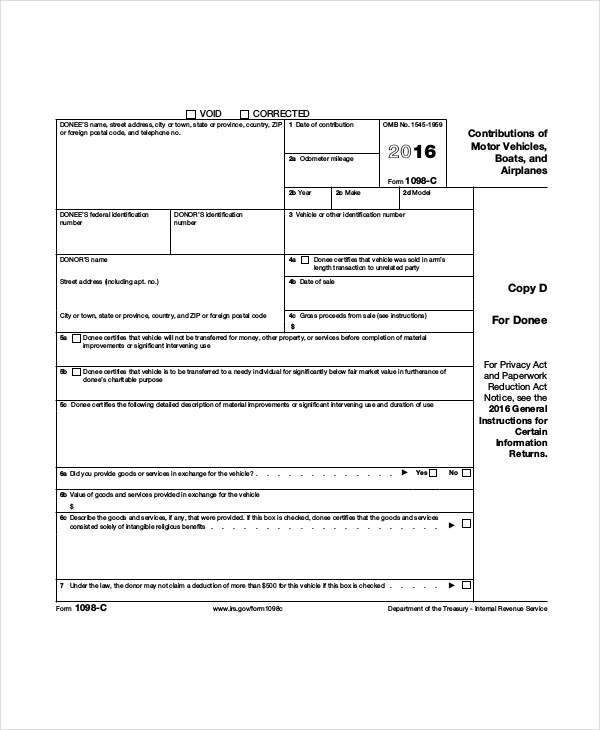 Download these forms from our website absolutely error free. 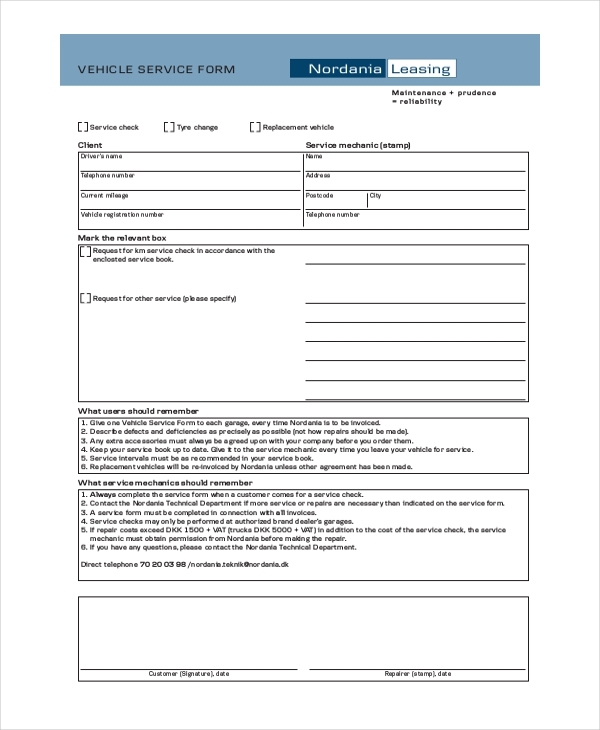 The driver or vehicle owner looking for vehicle service form can use the online form available here on our website and get it printed in the number of copies as required. They will get the superior quality form here. They will also love the quality these forms provide on paper. All in all, these forms are a must-have. One can easily download it and customize it according to their use. This form will be accessible in numerous formats. 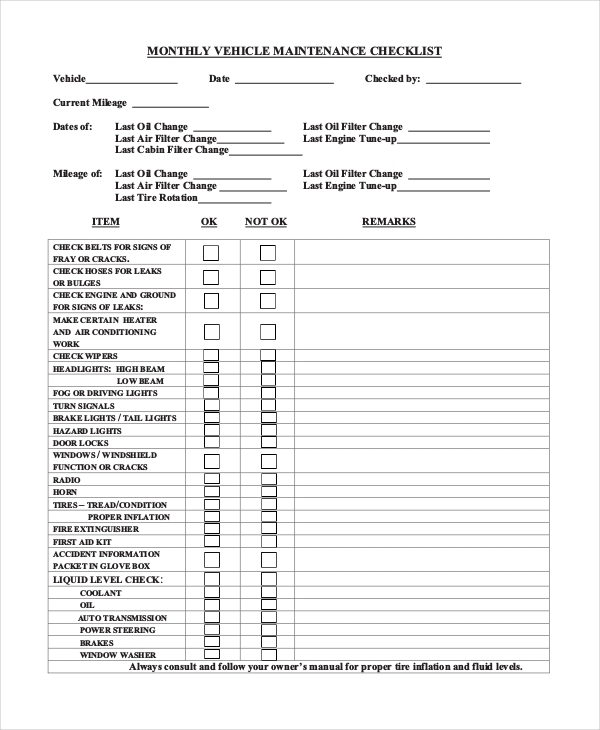 After filling this form, the vehicle owner should meet any other co-owner of the vehicle to make them fill form.